It doesn't get better than blowing whizzing clays out of the sky with a shotgun! Keep your reactions and wits about you and you are sure to have a blast! 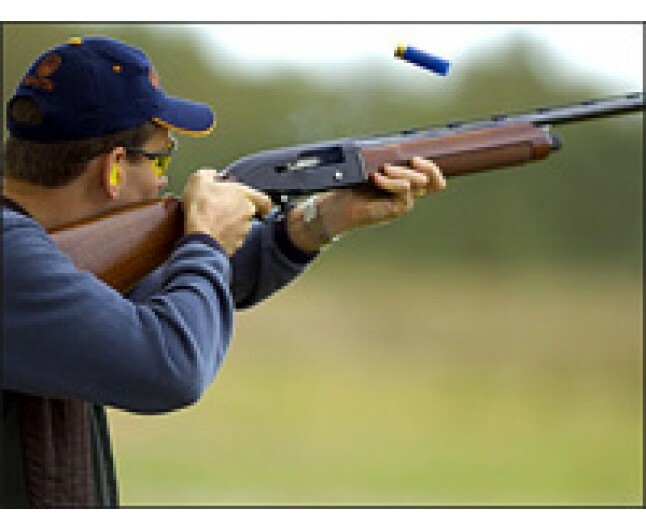 The shooting school consists of competition-standard range and equipment, where our expert tutors will take novices through every aspect of clay pigeon shooting, and experienced guns can perfect their craft with the very best advice. 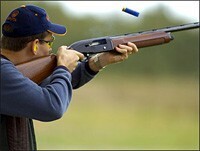 This intro course includes 25 clays, full instruction and all equipment. Whether you've shot before or not, the best place to start with clays is an intensive introductory lesson. Our AMICSI-qualified instructors will take you through the basics - stance, grip, aim and tracking a target across the sky, before letting you try your hand at dusting your first clay! As you progress in skill, you will move around our excellent shooting range, taking on clays from all directions and on different stands. Our experiences are offered subject to availability and weather conditions, therefore we cannot guarantee that the experience will not be withdrawn if the weather conditions on the day render the experience unsafe. The experience will then be rescheduled for another date. In the event of an experience being withdrawn (not due to adverse weather conditions) the customer or recipient will be offered an alternative date to undertake the experience. This experience is for one person only. Please book in advance. Minimum age limit for this experience is 12. This gift experience lasts for 12 months. More clays can be purchased on the day if required.